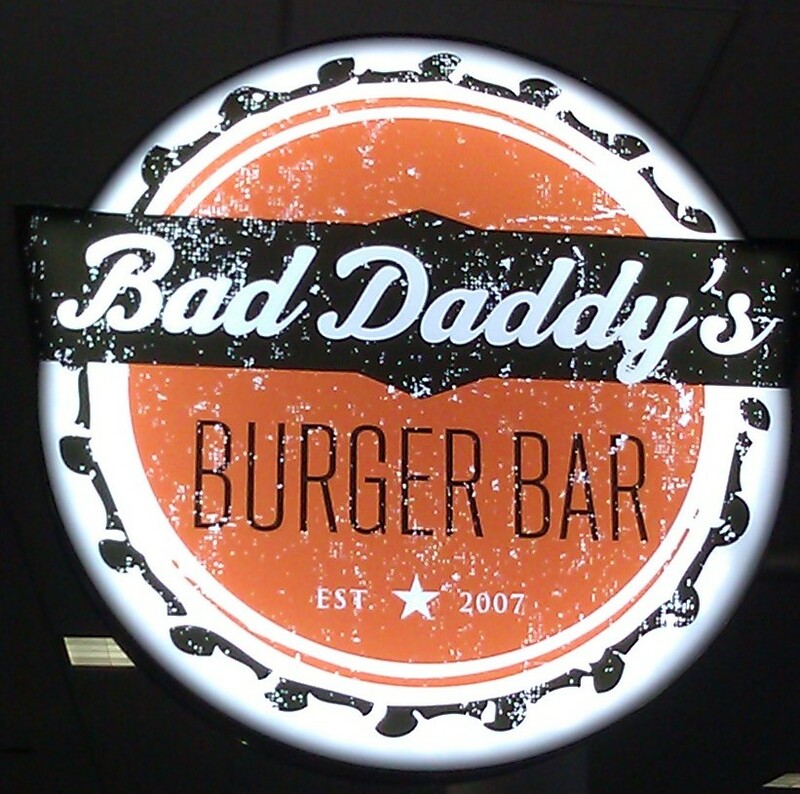 Bad Daddy's Burger Bar had been making some of the regional "best of" lists, and I had a layover in Charlotte, NC. Conveniently, there was a Bad Daddy's in my terminal. Here's some spiel from the Bad Daddy's website: "...Bad Daddy’s Burger Bar is one bite away from becoming your favorite neighborhood spot. We are a chef driven burger joint that uses a mix of local and artisanal ingredients to make the most amazing burger you’ve ever had. We work hard to make sure anything we serve is the best possible product and make everything in our scratch kitchen..." So, chef-driven, local, artisinal, amazing, and favorite was the bar that they had set in terms of expectations. I ordered a cheeseburger, and settled in for a 15-minute wait. Then I sent back that over-cooked cheeseburger and waited 5 more minutes. I had a long layover. The Basic Burger was $9.49, and cheese was $.95 extra....airport pricing galls me. The Beef: My server couldn't tell me much about the beef, so I had to rely on the menu. It did seem safe to assume that they were not grinding burger meat at the airport location, though. 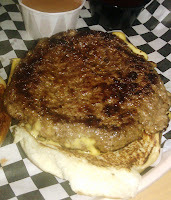 The burger patty was 7 ounces of medium ground Chuck. The menu promised Natural Angus--Hormone and Antibiotic Free and a Vegetarian Diet. The Bad Daddy's burger was juicy and beefy in flavor. There was no trace of funk or mineral notes. The beef was perfectly fine, but it was not exceptional in any way. The Seasoning: The burger patty was lightly seasoned with salt. 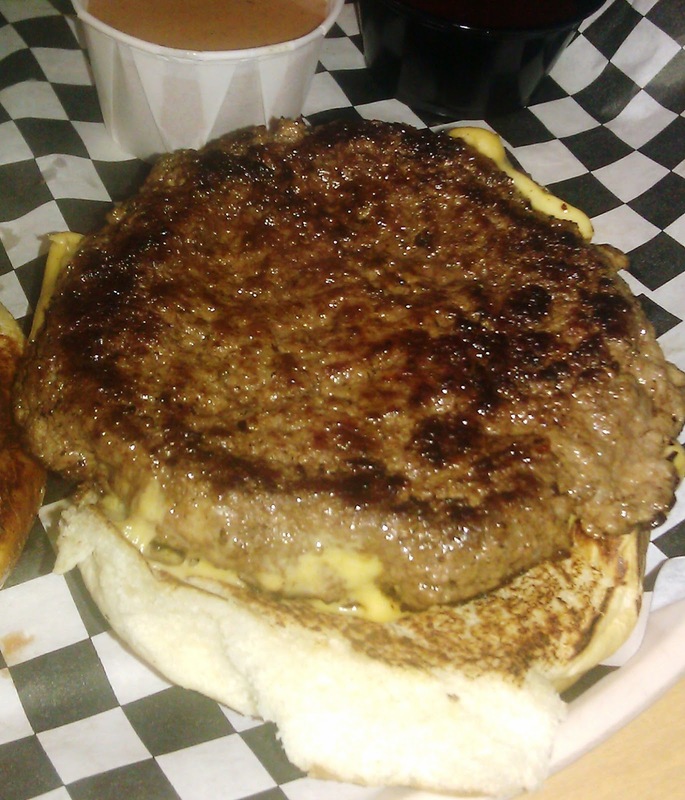 The Sear: The sear on my burger was moderate, but it did not provide additional texture to the burger. The Preparation: The flat, irregular patties appeared to have been formed during the prep cycle. The mouth feel was crumbly, so the beef was not manhandled. The burgers were cooked on a gas-fired flat top/griddle. I ordered a Medium burger, and I got just that...on the second try. The Cheese: The American cheese that I went with was one of 10 cheese choices. The cheese was properly melted, and it did all of those things that I have come to appreciate about American cheese. It was gooey, savory, and it provided a note of iron. The Bun: I selected the Traditional Bun from the 4 options. The bun was soft and sweet. It was heavily buttered and weakly toasted. The bun ended up being a flabby, compressed burger wrapper. It was fine. The Meat To Bun Ratio: The meat dominated the weakly textured bun. 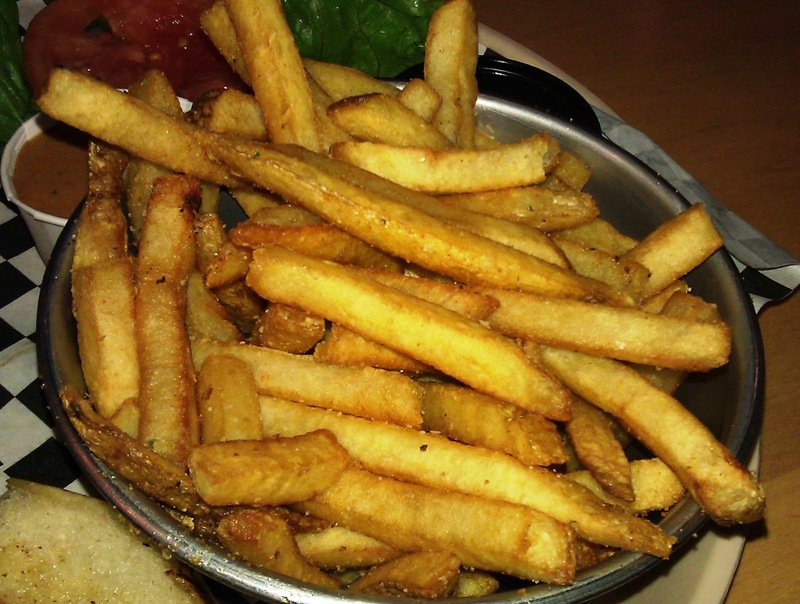 The Fries: The fries, while browned, were not crisp. I found this confusing, but it saved me from eating many of them. 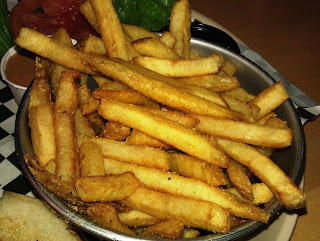 The fries were seasoned with garlic and salt. Had the fries been properly crisped, they would have been solid winners, since the centers were creamy, and the potato flavor was strong. The Toppings: The tomato slice and the Romaine lettuce were fresh and crisp. The Value: Meh. It was the airport, so the near $11.00 price tag for a burger was in keeping with expectations. Bad Daddy's Burger Bar was pretty much OK. It was not exceptional in any way, but it was fine, especially considering the this was an airport location. 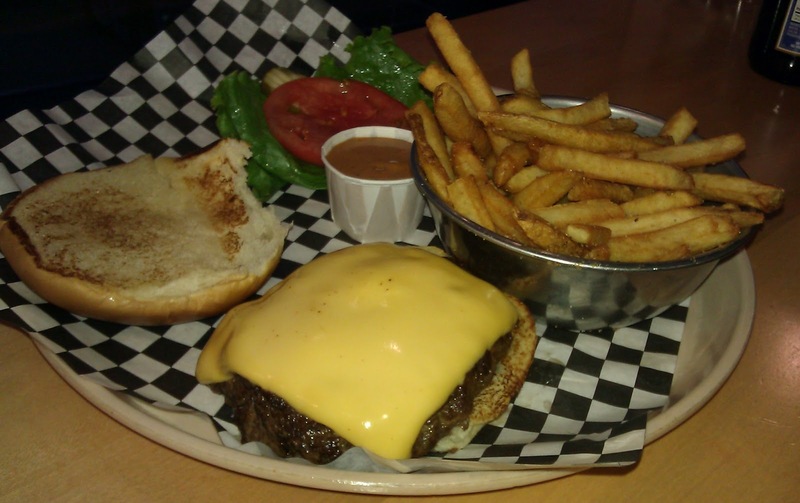 Burger Review : An average burger at an average price at Bad Daddy's Burger Bar.